Tom Chandler grew up dirt poor. His parents scraped out a living in Oklahoma and then Arkansas, doing whatever they could to put food on the table: subsistence farming, running a cream station for local dairy farmers, selling tomatoes to local cafes and hotels, and taking in laundry. Despite humble beginnings, Tom had garnered a reputation as one of the best trial lawyers in Southern Arizona by the time he retired well into his 80s. He also had contributed nationally to advance his profession and served eight years on the Arizona Board of Regents, including a term as President. Over the course of his distinguished career, Tom also performed a substantial amount of pro bono legal services. Tom was the “Chandler” in the law firm Chandler, Tullar, Udall and Redhair—now the Udall Law Firm. He focused on regulatory water law and insurance defense. In the mid-1930s, Tom’s parents piled their belongings on top of their car and went to California in search of work, where the men wound up picking peas and the women became waitresses. His dad also spent time homesteading in Salome, Arizona, near Parker, where Tom and his two brothers attended high school. Tom worked in a café that fed railway workers. Tom went on to earn his undergraduate and law degrees from the University of Arizona, where he met his wife-to-be Helen, a native Tucsonan born at the Stork’s Nest and raised in California by lower middle-class parents. Helen was a homemaker and a community volunteer, she was involved in her children’s Parent-Teacher Associations and sports teams, she was a cub scout leader and she volunteered at her grandchildren’s school library. Tom and Helen had six children, five of whom still live in Tucson. 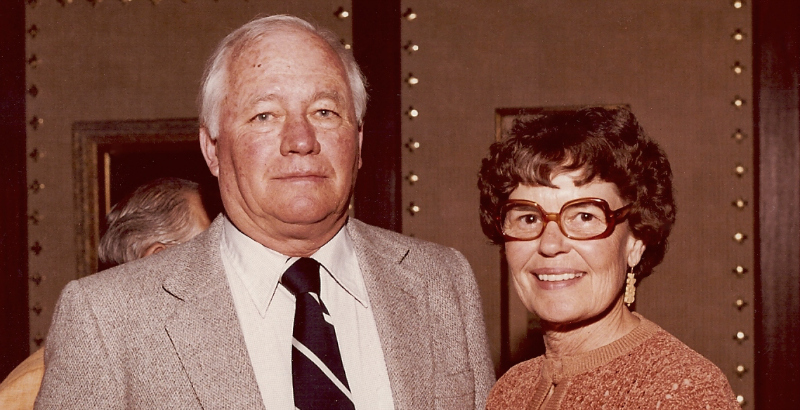 Helen and Tom, both of blessed memory, supported and valued education throughout their lives, giving generously of their time and resources. It was their daughter Terry Chandler’s deep respect for her parent’s commitment to education and giving back, combined with the need she saw in her own role as a judge in Pima County’s juvenile court for nine of her more than 13 years on the Superior Court bench, that led her to establish the Tom & Helen Chandler Scholarship Fund to Benefit Youth on Their Own (YOTO) Students in 2016 at the Jewish Community Foundation. “I chose JCF because the Foundation has a good reputation for managing funds like this and for being easy to work with. I also liked that YOTO’s executive director has confidence in the Foundation,” Terry said. The Fund keeps her parents’ spirits alive, and is a way for Terry and her siblings to remember and value what their parents gave them, including educational opportunities that didn’t leave them in debt. Terry wants to help young people who don’t have that kind of support, and knows that a little bit of support can go a long way. The Fund’s awards committee just gave their first two unrestricted $1,000 scholarships to two YOTO students headed for Pima Community College this fall. YOTO manages the scholarship monies for the students. Committee members this year included Terry, her daughter Molly Knipe, Terry’s sister Kacey, and YOTO’s Executive Director Nicola Hartmann. The scholarships, part of YOTO’s Continuing Success pilot program, give a boost to graduating high school students who are going to college, community college or a trade school. Terry decided to focus the scholarships in this way when she learned that even when young people get a tuition grant, they often opt not to go to school because, for example, they can’t work full time and attend school, or can’t pay book or lab fees. An extra $1,000 can make the difference. Terry says it was very hard to narrow it down to two recipients because there were so many eye-opening and compelling stories of hardship. One young man’s dad lost his job because of medical reasons, and then the two of them became homeless. Another young person’s mom left her and her siblings with various family members and moved away. And still another girl was beaten by her dad and raped by her uncle. Like her father before her, Terry also received her undergraduate and law degrees from the University of Arizona. She worked for her dad for a few years, then went on as a public lawyer with the Pima County Attorney’s Office and U.S. Attorney’s Office. She is a recently retired Pima County Superior Court judge, and her husband, Peter Cahill, is a retired Gila County Superior Court judge. Prior to becoming a judge, Peter practiced law in Globe. The two met when they were lawyers and trying a case against one another. Terry didn’t say who won! 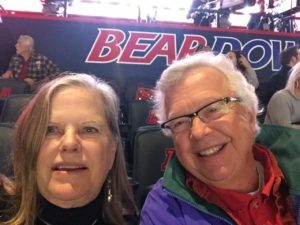 Terry has two children by a first marriage, daughter Molly and son Luke Knipe, both Tucsonans, and three grandchildren ranging in age from 1 year to 16 years old. A fourth grandchild is on the way. She has served on nonprofit boards that address children and families in difficult circumstances. After retirement, she became a master gardener and spends time gardening with women in recovery at The Haven. JCF staff and board appreciate the opportunity to work with Terry to bring her philanthropic vision to life, honor her parents memory and generosity, and help YOTO students make their dreams a reality.